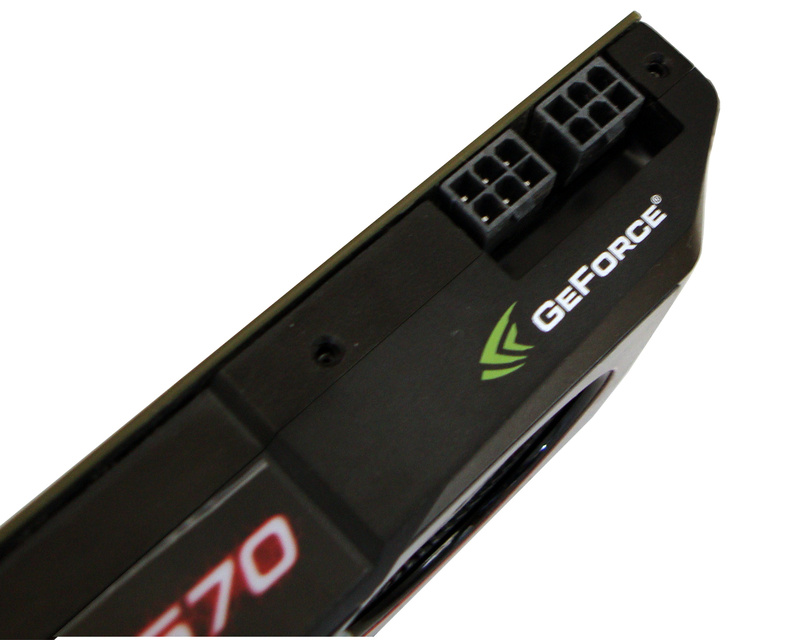 While GeForce GTX 580 needs one 6pin and one 8 pin power connectors, у GeForce GTX 570 requires two 6-pin ones to provide additional power. 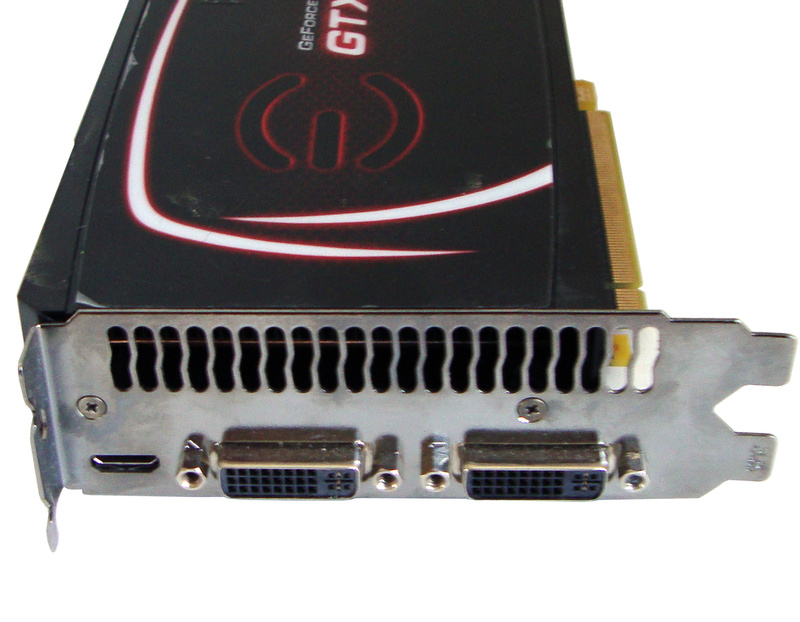 The set of outputs is usual for Fermi family products — two DVI-I and one mini-HDMI. Hot air is blown away through PCI grilled bracket. NVIDIA did a great job on cooling system improvement — heat-pipe base system, like GeForce GTX 470 has, was replaced by more efficient one that use vapor chamber. 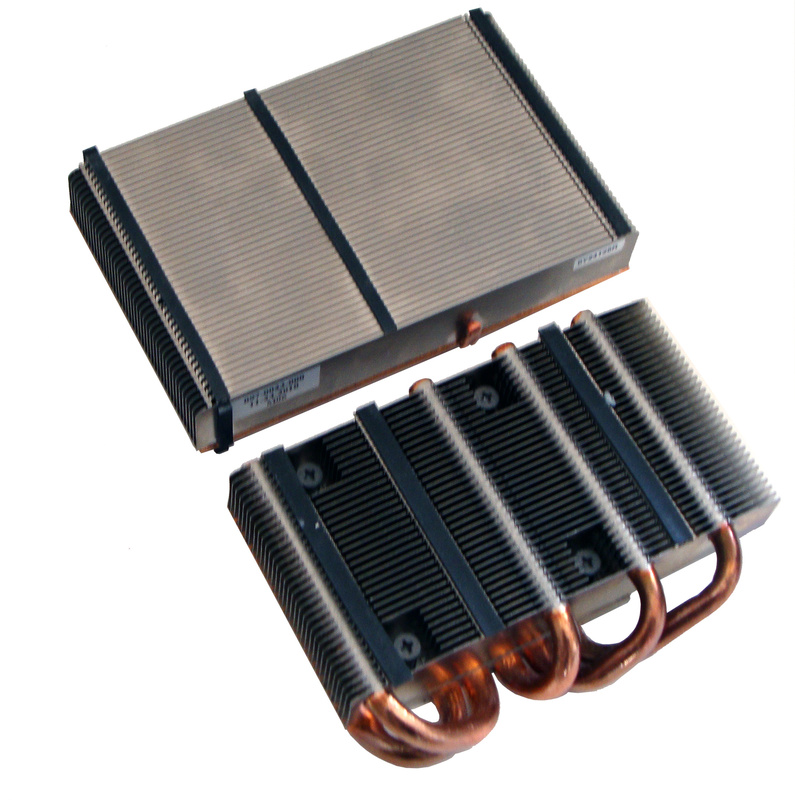 Tho reduce the noise level, NVIDIA increased stiffness of heatsink fins. 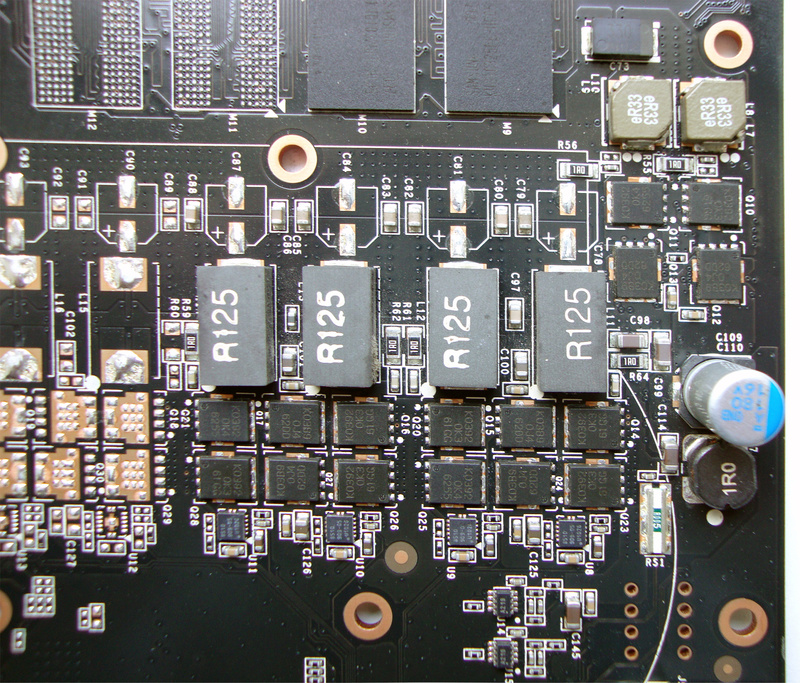 Power components and memory chips are cooled by a detachable aluminum plate. 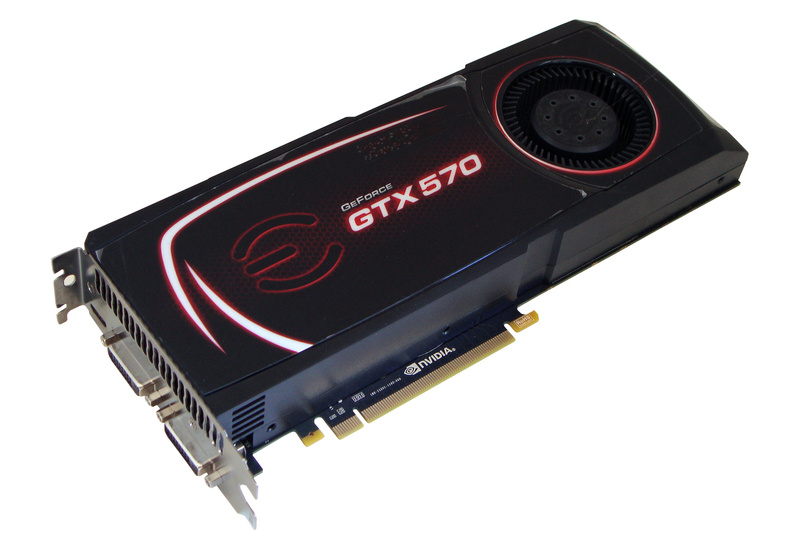 The back side of both GeForce GTX 570 and GTX 580 card are identical. 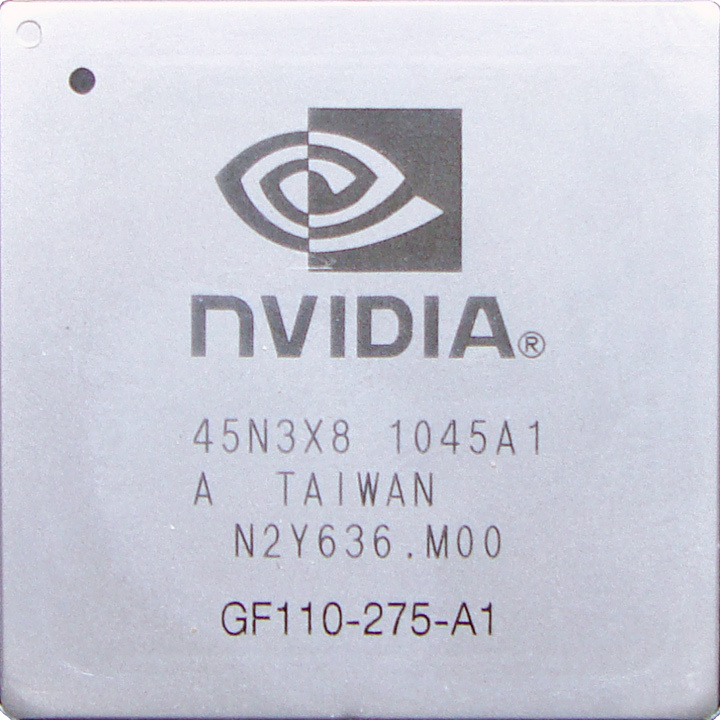 The graphics processor is powered via 4-phase design based Renesas RJK0389DPA and Renesas RJK0392DPA power transistors. 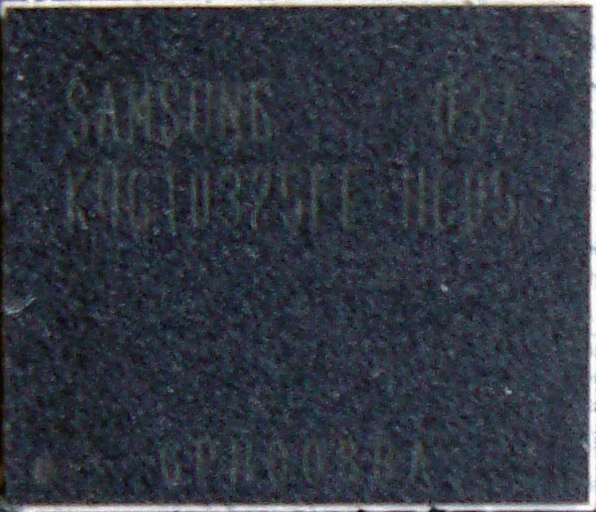 Each phase is contolled by MOSFET driver Chil CHL8510. Two power transistors Renesas RJK0389DPA and a pair of Renesas RJK0392DPA chips are responsible for memory power feeding. 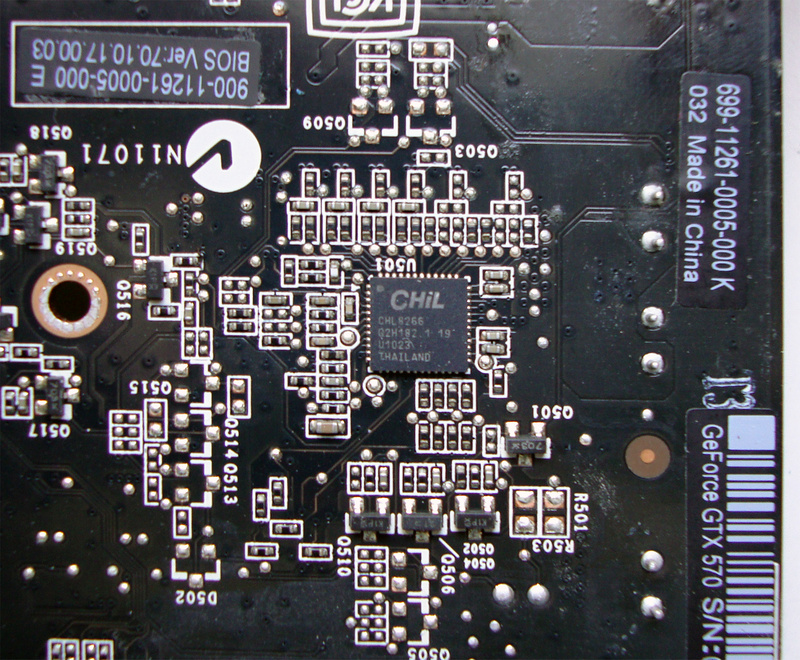 Chil CHL8266 supports monitoring and control via SMBus — with some help from enthusiast software, the voltage can be managed even from Operating System. 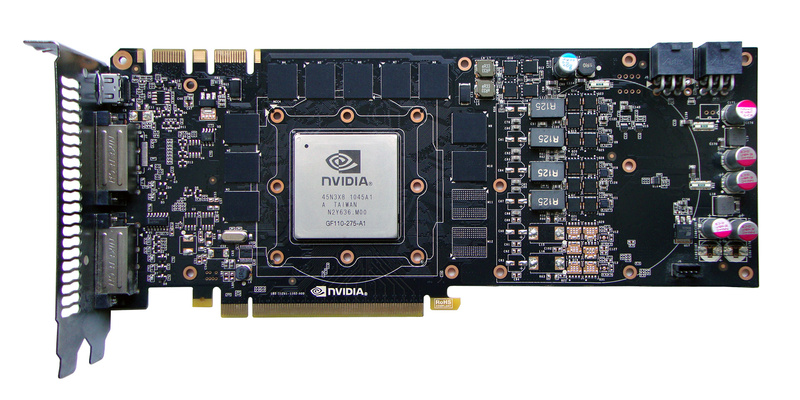 To add, the front end of power circuit features two Texas Instruments INA219 sensor, that transfer current value of GPU voltage and current drawn straight to controller. Therefore, you can control the max power consumed through VGA driver. 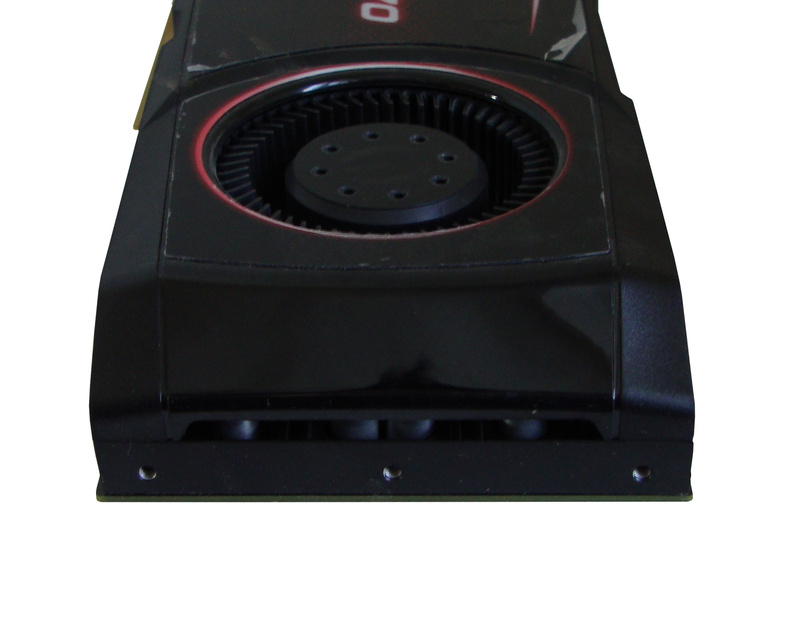 The architecture of GF110 (GTX 570, 580 cards) graphics processors, that came to replaced its predecessor, GF100 (GTX 470, 480 cards), does have any noticeable changes. 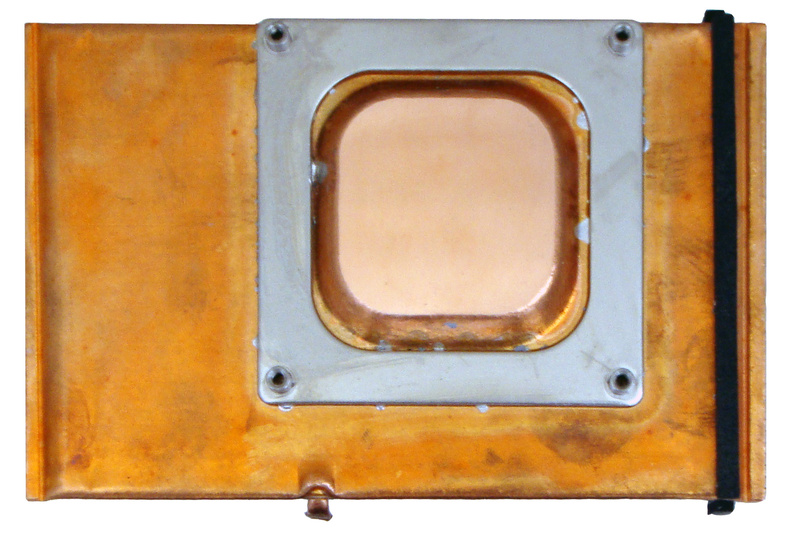 The main enchantment was to use much faster transistors with less current leaks which results in less heat generated and higher clock potential. 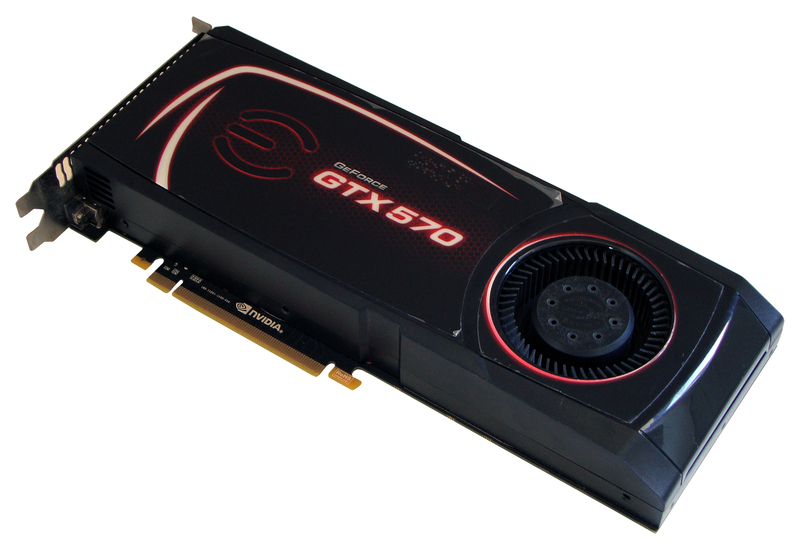 Overall, the PCB design of the contestant is similar to both GeForce GTX 480 and GeForce GTX 580 cards, that is, all three cards are compatible with alternative cooling systems.